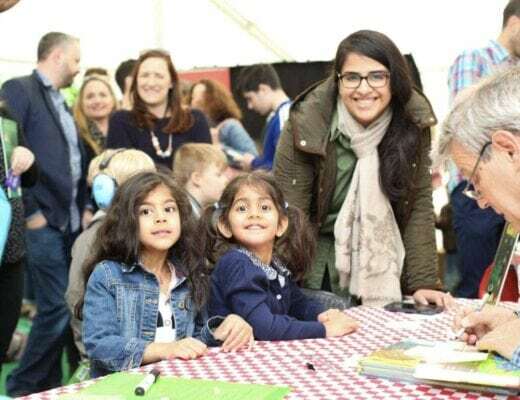 I’ve always had a bit of a soft spot for Paris and know where my favourite places are, but as we are heading to Paris next year with the kids for the first time, I put a callout for some fellow bloggers to tell me all about their favourite Things to do in Paris with Kids. So in no particular order here are some ideas of things to do in Paris with kids! 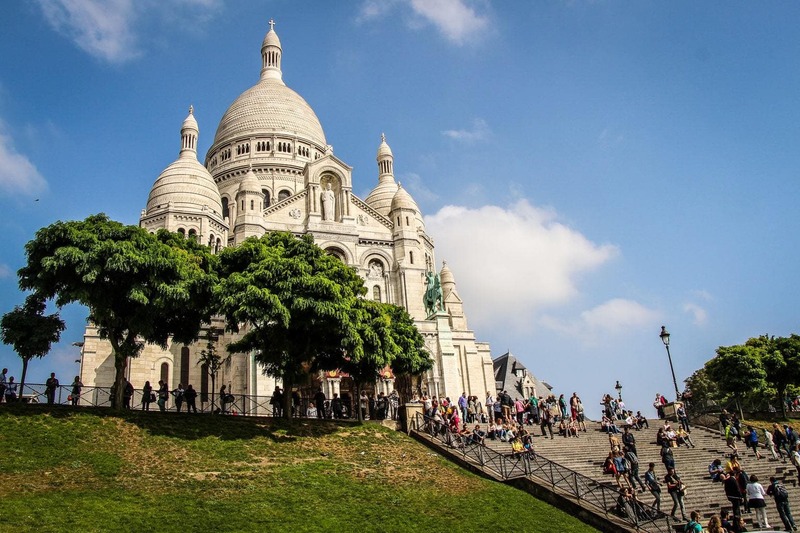 Whether you stay in the popular area of Montmartre or not, a visit to the Sacre-Coeur Basilica is a must. 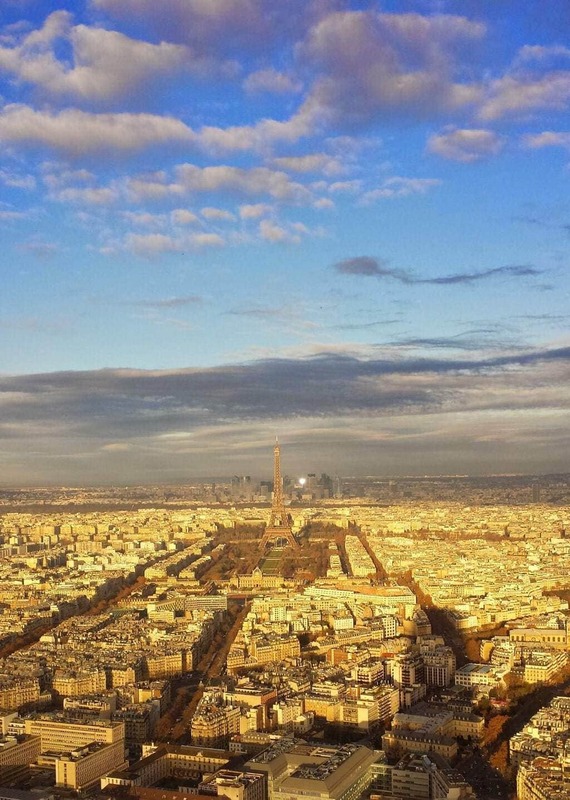 Perched up on a hill with sweeping vistas of Paris, the view alone is worth a visit. While touring the inside of the basilica won’t take too long, families who are up for it can climb to the top of the dome. Grab some Nutella crepes and take in the view for a while after touring the inside of the basilica. 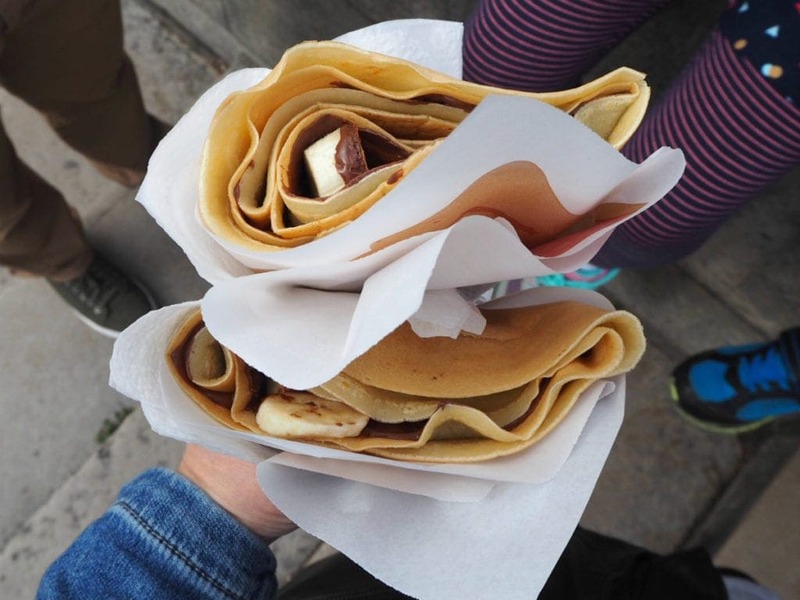 Kids will love this outing, not only will the Nutella crepes be a winner, but you can avoid the 200 steps up by taking the Montmartre funicular. To top it off, you can stop at the playground and carousel at the bottom of the hill (along Pl. Saint-Pierre to the East of the Funicular) to give kids time to play. Paris is one of the most beautiful cities in the world and there are so many activities for family travel. One of the best things to do in Paris with kids is to walk along the Seine. This walk along the famous river can begin at Notre Dame Cathedral or at Pont d’Lena bridge by the Eiffel Tower. Enjoy the stroll on the Left Bank, at river level and stop at each of the fun activities along the way. Play your favourite music from your phone on the blue tooth speaker. Bring an empty water bottle and fill it up at the incredible sparkling water fountain! Play racquet tetherball, and walk along the platforms on the wall. Play a family game of Petanque. Walking along the Seine is fun and relaxing for the whole family! Free to Travel Mama took a Seine River Cruise with Vedettes du Pont Neuf and it was magical! We intentionally timed it perfectly and left right at sunset so that we could see all the historic buildings lit up along the way. The left side of the boat had the best views and all the children loved seeing the glowing sights as darkness fell. They also loved cheering and listening to their echoes as we floated under each bridge. 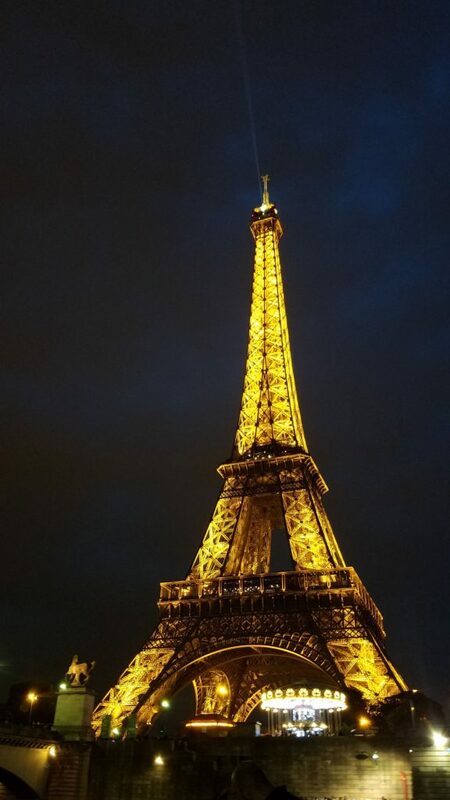 As we approached the Eiffel Tower right on the hour, it lit up and sparkled in all of its glory. Children and adults alike were filled with joy at the beautiful sight. It was the perfect family activity in Paris with kids and our highlight of the week. 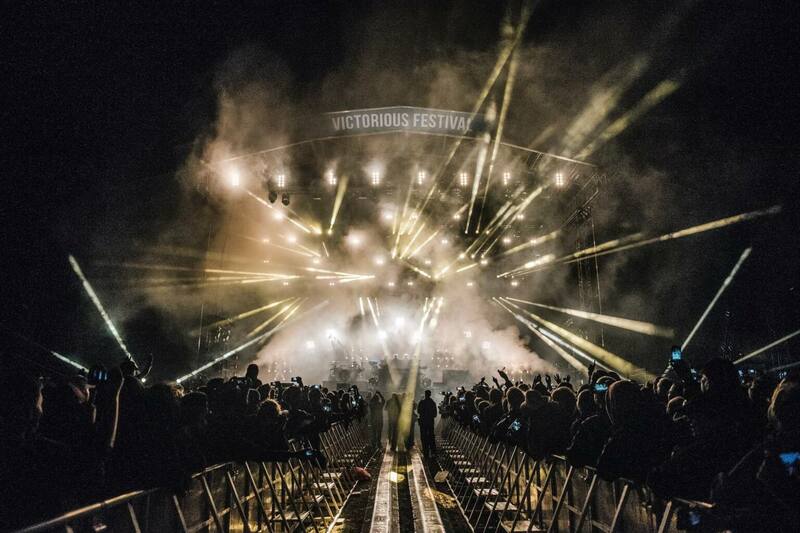 Money Saving Tip: Buy tickets online earlier in the day to save your seat and get a discounted rate. The Bateaux Mouches (literal translation: fly boats) are a great way to see the iconic Parisian monuments, like the Arc de Triomphe, Eiffel Tower and Louvre Museum. These low-slung, beetle-like boats have been sailing up and down the Seine since the 19th century. They run regular sightseeing tours in Paris, but for a special occasion, you can have a three-course meal on board. The lunchtime dress code is smart-casual, but you need to dress up for dinner. And who would object, to sail down one of the most romance-laden rivers in the world? 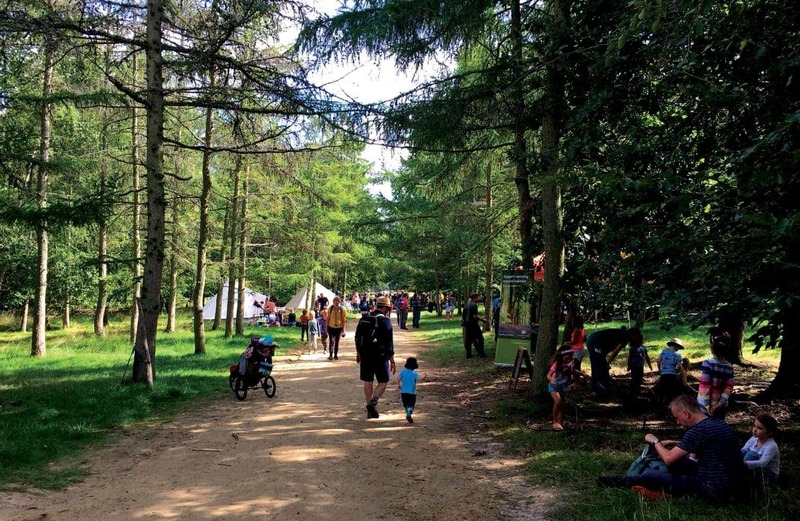 Paris is known for its formal parks, but while they’re wonderful, Mummy Travels tell us that the Promenade Plantee is a great way to get outdoors with kids that’s a little bit different. Also known as the Coulee verte Rene-Dumont, it’s a converted green walkway on an old railway viaduct which follows one of Paris’ former train lines. Running for three miles from the Bastille to the Bois de Vincennes, the first stretch is around 10m above street level (the boutiques of the Viaduc des Arts are in the arches) before returning to road height part-way along – the first section is for pedestrians only but the rest is also open to cyclists and skateboards. As well as some fantastic views over Paris, it feels like you’re walking along in a completely different world to the rest of the city, while you can also spot a preserved railway station along the way. 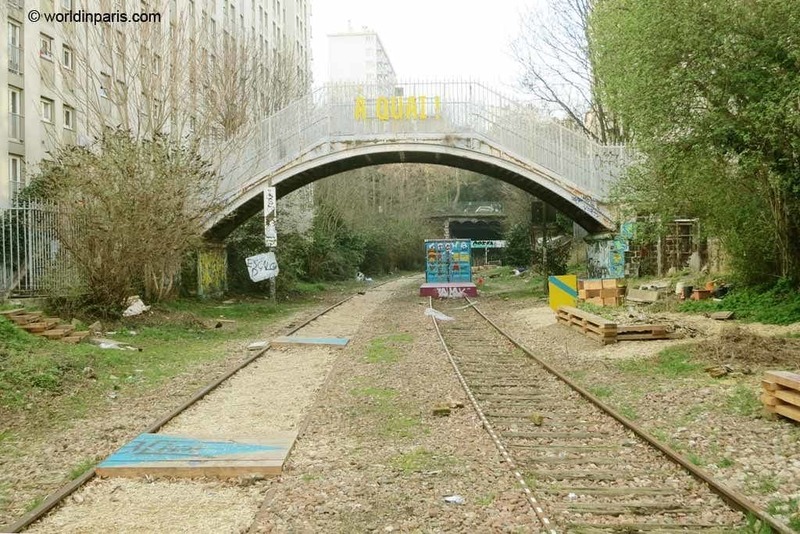 La Petite Ceinture is an original and fun thing to do in Paris with kids. La Petite Ceinture (the little belt) was the ancient railroad that circumnavigated Paris in the 19th century until the construction of the Parisian metro. Today, some parts of this railway have been restored as green areas and they are a great stroll to take with kids when the weather is nice. The sections open to the public are located in Paris 12, 13, 15, 16 and 18. Along these sections you can walk on the rails and there are still some train signs and secondary train stations to explore but also nature trails so you can discover the city’s biological diversity: grassland, coppice, and afforestation. Some of the old stations have been restored and turned into alternative bars or restaurants. La Recyclerie in Paris 18, for example, proposes interesting set menus for a good price. 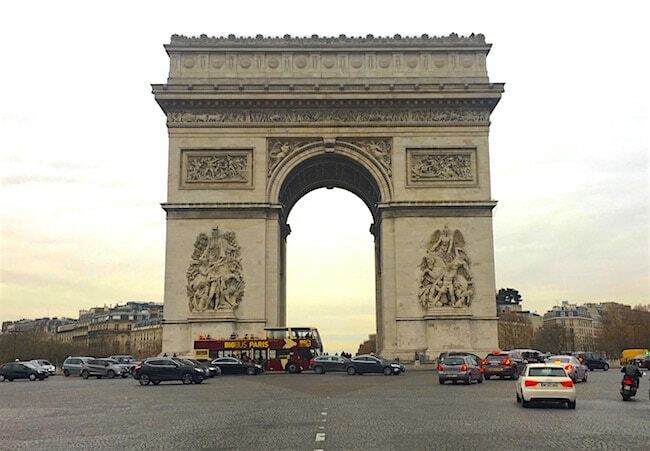 One of Carpe Diem Our Way’s favourite things to do in Paris with kids is take a Hop on Hop off bus tour! 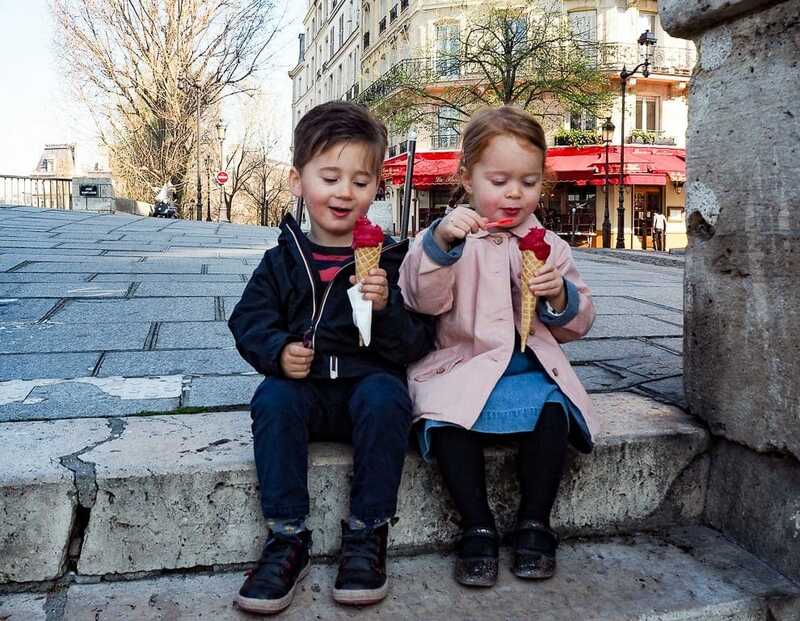 Paris prides itself as being a walkable city, but things are different when you add kids! It is a great way to see all of the highlights of Paris, without the kids getting tired from walking around. The buses make stops at all of the major sites and you can easily hop off to take a closer look! I also love going up to the top desk and letting the kids get some wind in their face! Whether or not they listen to the audio tour does not really matter to me, but pointing out the sights and taking pictures tends to keep them engaged! There is so much to watch from the top of a bus! One of the best ways to see Paris with kids is, without doubt, on two wheels. 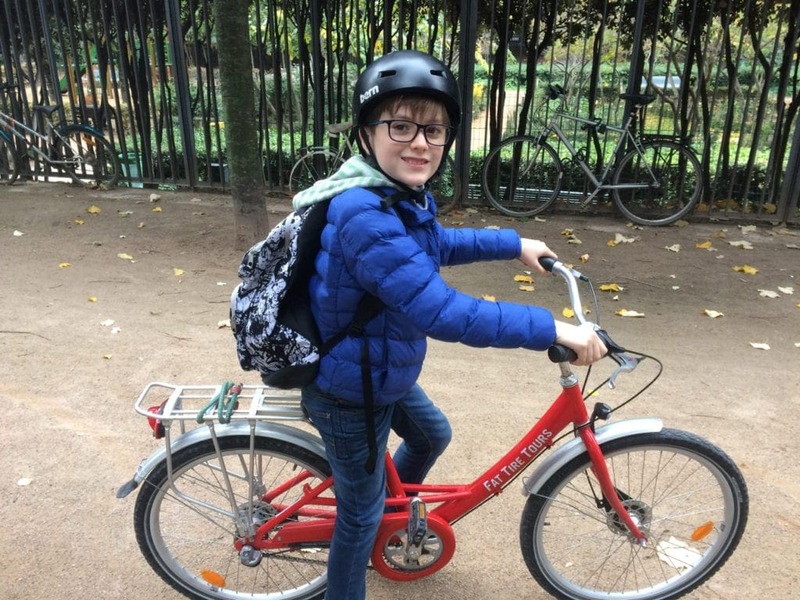 If you can ride a bike, and especially if your kids are confident cyclists, then a bicycle tour of the city’s highlights is a brilliant way for families to experience the French capital. My husband took our eldest to Paris for a weekend to celebrate his 10th birthday and for some father-son time together, and they both said that their time with Fat Tire Tours was one of their favourite things to do. The company run a number of guided cycling tours around Paris including the Day Bike Tour that takes in the city’s most famous sites as well as bike tours by night and tours of Versailles. It’s a fun and fast way to see Paris and eliminates the chance for kids to complain that they’ve had to walk too far! 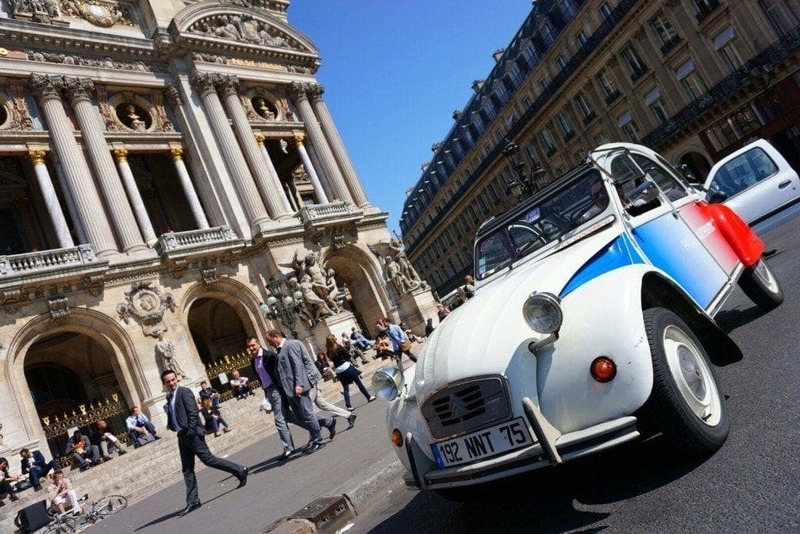 If you want to feel French and quirky then hire a 2CV car and cruise around Paris city centre says Kirstie Pelling from The Family Adventure Project. If you want to feel safe as well, then take a tour where a driver/guide comes included. There are loads of companies that offer classic car tours with different themes, exploring different districts. Even Parisians don’t get tired of seeing a 2CV; we turn heads at the Ministry of Justice, Place St Germain-Des-Pres and on Avenue des Champs-Élysées during our two hour lunchtime tour. “People watch and interact with this car. It makes them smile” says my Paris Authentic driver and guide Arno Vincendo. It’s at the Eiffel Tower that our little red, white and blue car looks most at home; I take a quick snap before I’m moved on or arrested for being too cool even for the French. “The 2CV is a living car. It makes sounds when it is moving. It is funny for kids,” says Arno. Funny for kids, fun for adults, what’s not to like? 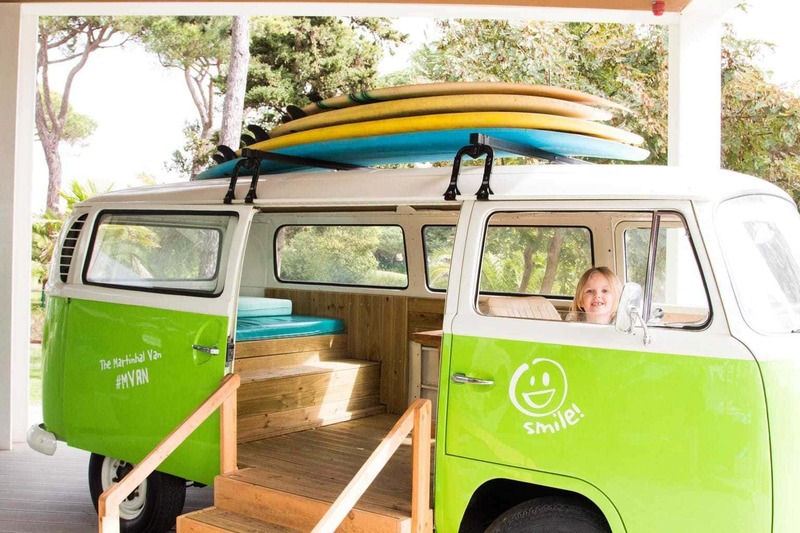 This sounds expensive but actually it is only 12 Euros per person and kids go free. The balloon is in Parc Andre Citroen. Tickets can be bought at the office in the park and the balloon goes up approximately every 15 minutes during the day. 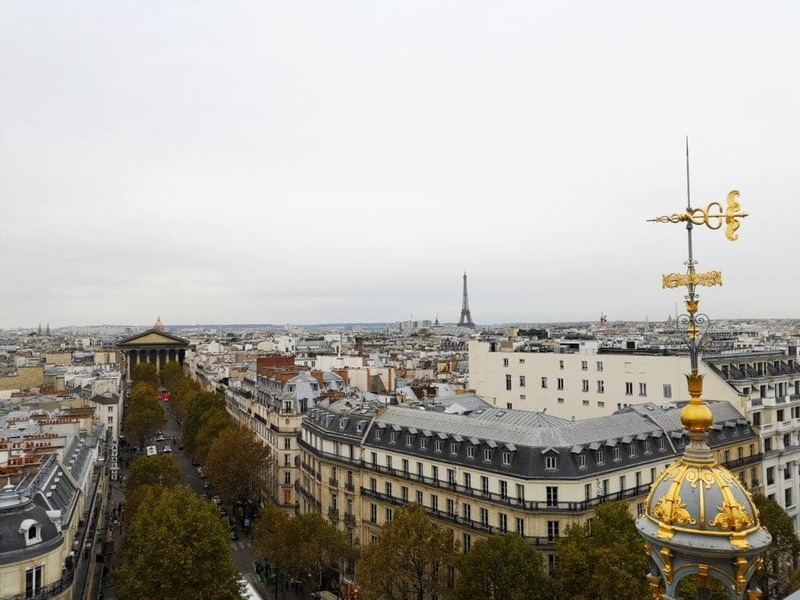 You get the perfect bird’s eye view of Paris inclusive of the Eiffel Tower. The ride doesn’t take too long, perfect amount of time with children. Whenever you are in Paris with kids, and you want to take your kids to a place where they can enjoy, and do it for free, the best place to go is Champs-Élysées to see street performers. You can”t tour Paris without hearing about this place or visiting this place. Whether your kids are into music, break dancing, or pets, you’ll find those street performers at the Champs-Élysées, and they are everywhere. While your kids enjoy the street performs in Champs-Élysées, you’ll get to enjoy the shops (i.e. famous brands) along that well-known street. If you visit Paris in mid-July, you’ll also see on that street the Annual Bastille Day Military parade that a lot people both kids and adults like to watch. In the minds of Asher & Lyric Paris is not only the “city of love” but it’s also the “city of the chocolate”! One of the most fun things to do in Paris with kids is to walk the gorgeous, little streets of St. Germain while sampling utterly mouth-watering chocolate. My family and I are chocolate lovers and we’ve tried the best chocolate everywhere we’ve traveled from Belgium to Switzerland but nothing compares to Parisian chocolate. 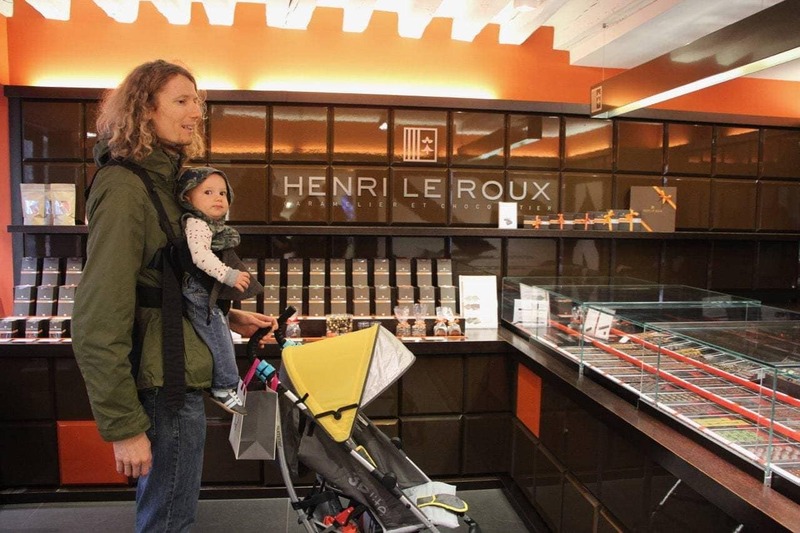 In our opinion, the four best chocolatiers in St. Germain are Meert, Patrick Roger, Henri Le Roux and Maison Georges. 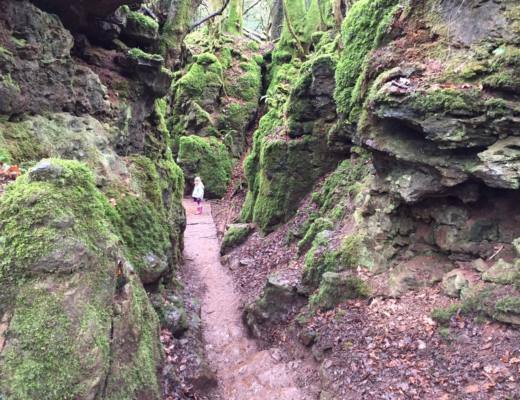 They are all within a 20 to 30 minute leisurely walk and your kids will love it! The only trick will be trying to limit your intake. We recommend getting a sampler box from each shop that costs around €18 and then when you know your favourite you can always go back for more. 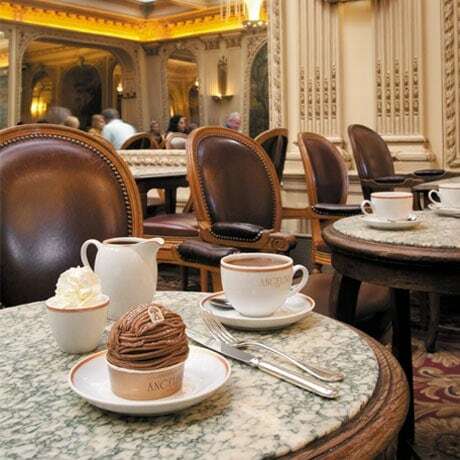 Jenography tells us that cafes and patisseries in Paris are always a feast for the eyes with their gorgeous tarts and cakes, but without a doubt the best place to have a chocolate chaud (hot chocolate) is Angelina. The historic tea shop now has several locations but the best in my opinion is on Rue de Rivoli near the Tuileries and the Louvre. Coco Chanel and Proust once dined in the stunning Belle Epoque rooms but it’s the African hot chocolate — made with cocoa from Niger, Ghana and the Ivory Coast — that is the reason we visit. It’s creamy, it’s rich, it’s intensely chocolatey yet not bitter. A little pot of whipped cream comes on the side, so you can mix in the amount you want. If you’re feeling particularly in need a sugar jolt, order the iconic Mont Blanc pastry — meringue, whipped cream, topped with chestnut paste vermicelli. The recipe has remained the same since Angelina opened in 1903. Why not try a boulangerie tour. 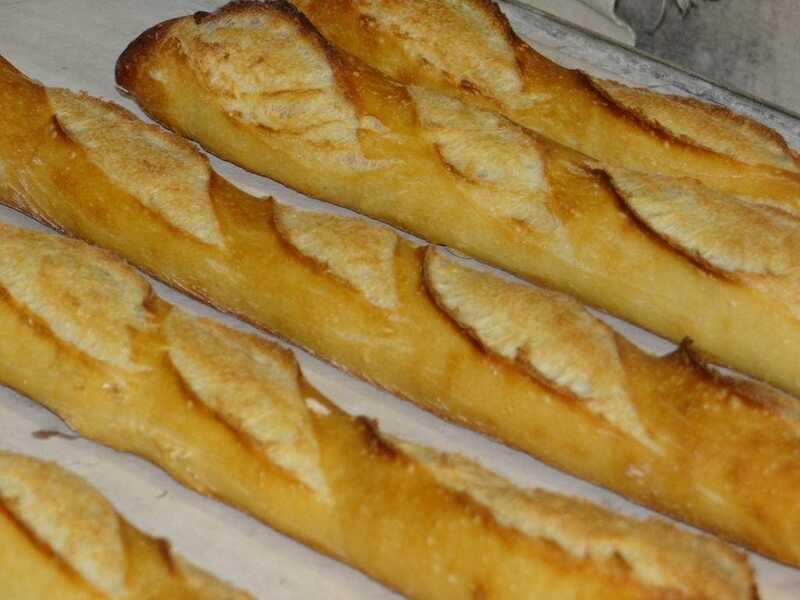 Suzanne Wolko’s niece, then eleven, was a bit scared to put cuts in the dough to mark her baguette before it went into the oven. She wasn’t keen to be that hands on as we began our bakery tour. We would descend the spiral staircase to watch the pastry chefs cut and roll croissants, glaze cakes and dance around each other in the small space full of delightful treats. We wanted to taste it all! Our behind the scenes boulangerie tour was just an hour but enough time to learn the extreme care and skill that goes into baking the baguettes, croissants and other pastries on a daily basis in Paris. As we left, each armed with a baguette and a croissant, we realised our Paris food tasting had just begun. You can read more about the boulangerie tour in Paris here. L’Aquarium de Paris, a.k.a. the Paris Aquarium is truly a gem overshadowed by the iconic landmarks of Paris. With more than 500 aquatic species living in the largest tank of Paris, the place can easily rekindle the curious spirit of a child within you. You can see a huge variety of jellyfish from different parts of the world, sharks, seahorses and many other exotic Pisces. Children of all ages can be seen running about and looking at the exhibitions with sparkling eyes. 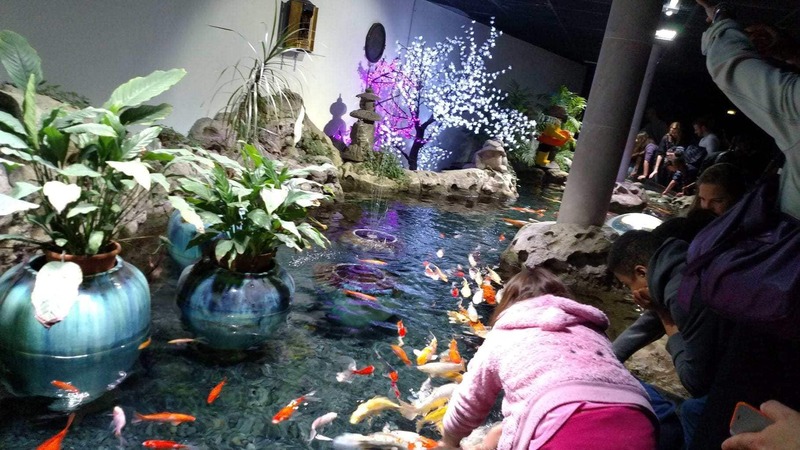 The interactive shows, documentary movies and a lot of interesting GK trivia about aquatic life are some of the best things to enjoy here besides the aquarium. It is a 5 minute walk from the famous Place du Trocadero and has an entry fee of $20 which is completely waived for Paris Pass holders. The facility is open till 7pm so you can visit it in the evening after the museums are all closed. Seeing the iconic Eiffel Tower is exciting enough, but taking a trip up to the top is even better! You can choose to go to the second level only, or all the way to the top level to see Paris from a giddy height. As the elevator completely bypasses the first floor, you’ll want to walk back down the stairs to have lunch with a view, visit the gallery, or walk on the glass floor – if you dare! From the quirky elevator ride to the top, to the strategically placed binoculars on the viewing platform – everything about the experience is fun for kids. Except, that is, for the queues to get your ticket! 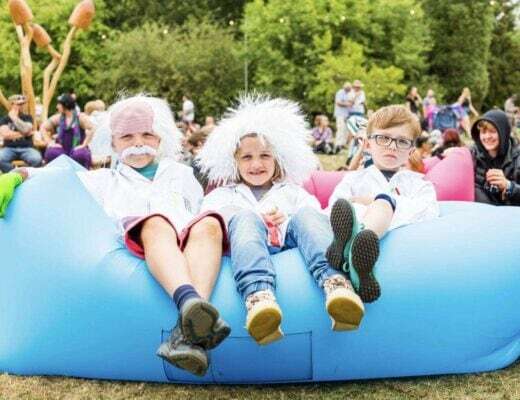 Save time waiting in a queue with impatient little ones by buying your tickets online before you go (at least a day in advance). 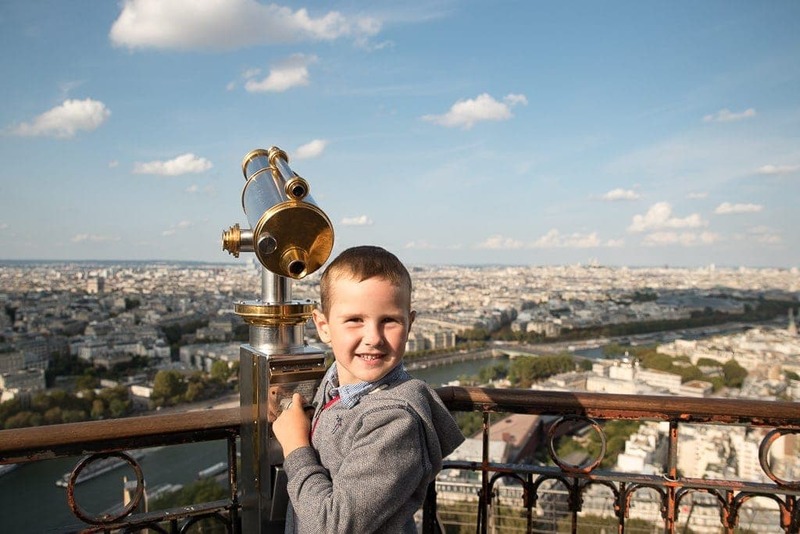 If your kids need to burn off excess energy (and you want to wear off those chocolate croissants) climbing the 284 steps to the viewing platform of the Arc de Triomphe in Paris is a fun way to take in history, colossal architecture and some stellar views of Paris. Located at the west end of the Champs-Elysées, this towering monument was commissioned by Napoleon in 1806 and dedicated to the French army after the Victory of Austerlitz. It was only completed in 1836, after his death. 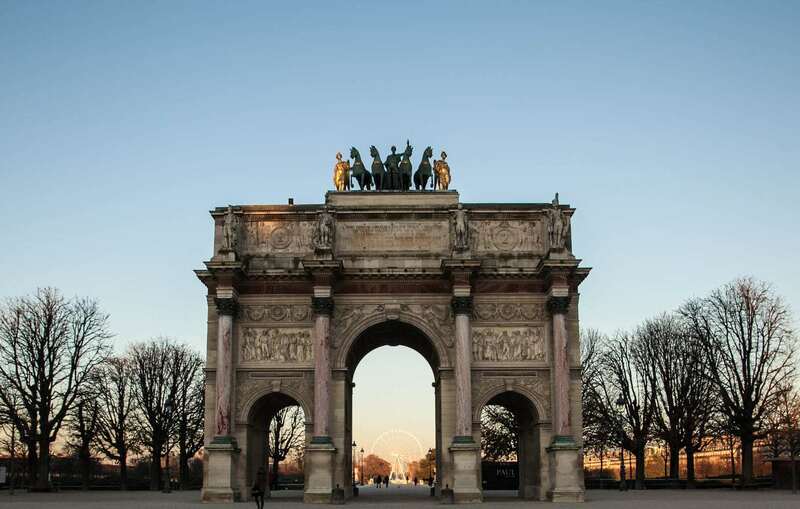 Today, the Arch of Victory – all 164 feet of it – is one of the most famous sights in Paris. While it stands at the traffic-mad Place Charles de Gaulle, you can access it safely from a pedestrian underpass. If your children aren’t up to the climb, you can wander around the base for free and see the Tomb of the Unknown Soldier, or it’s possible to take an elevator up to the viewing terrace if you have mobility issues or very young children. Bonus: Children under 18 get in free. If you’re looking for a fun day out with your kids while in Paris, the Jardin d’Acclimatation won’t disappoint. 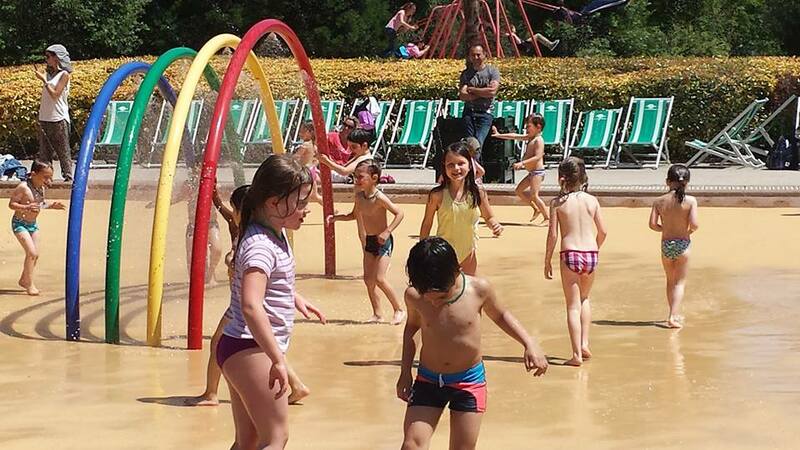 Set amongst beautiful parkland in the Bois de Boulogne, the Jardin d’Acclimatation features an amusement park with rides and fun activities for kids and adults alike. 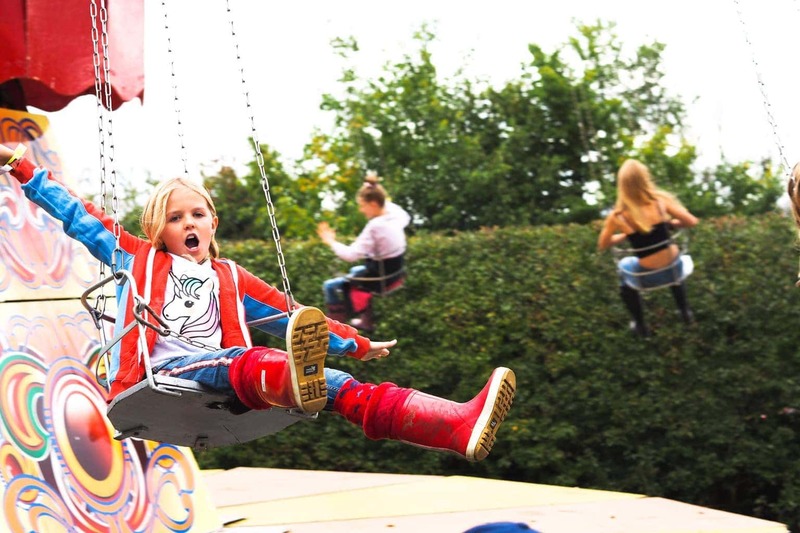 There are rides for toddlers, a carousel, rollercoasters for the young and young at heart, as well as nature-based activities such as an animal farm and aviary. In the warmer months, kids can have fun in the water play area, while parents can relax in a lounge chair. Mamma Loves Travel recommends packing a picnic lunch, or you can eat at one of the many restaurants onsite. 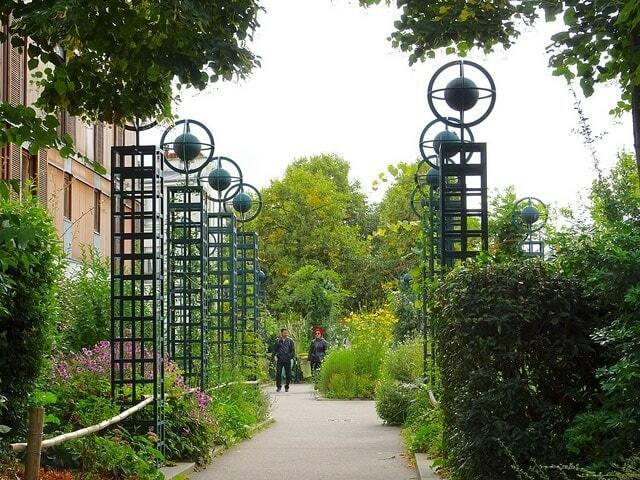 The Jardin d’Acclimatation is a short 10-minute walk from Les Sablons metro station. Tickets are available online or at the gate. Our favourite thing to do in Paris as a family is to spend the afternoon at the Jardin des plantes. Located in the heart of Paris, near La Sorbonne, the jardin is the city’s botanical gardens and a real treat for children. Here you have a small zoo, a playground with a kiosk for snacks and coffee and some thematic gardens with vegetation from different parts of the word. The Alpine garden is particularly fun: it has meandering paths climbing down a hill and allows you to get a glimpse of the wallabies in the enclosure just beside! The jardin has also a famous and unusual merry go round: here, you don’t ride on a horse or a plane but rather, you sit on a prehistoric giraffe or even on a dodo! The animals have amazing colours and details and pay homage to the content of the Natural History Museum nearby, also a fabulous place for families. The beautiful Luxembourg Gardens are home to the oldest puppet theatre in France – there are shows three times a week and every day during the school holidays. 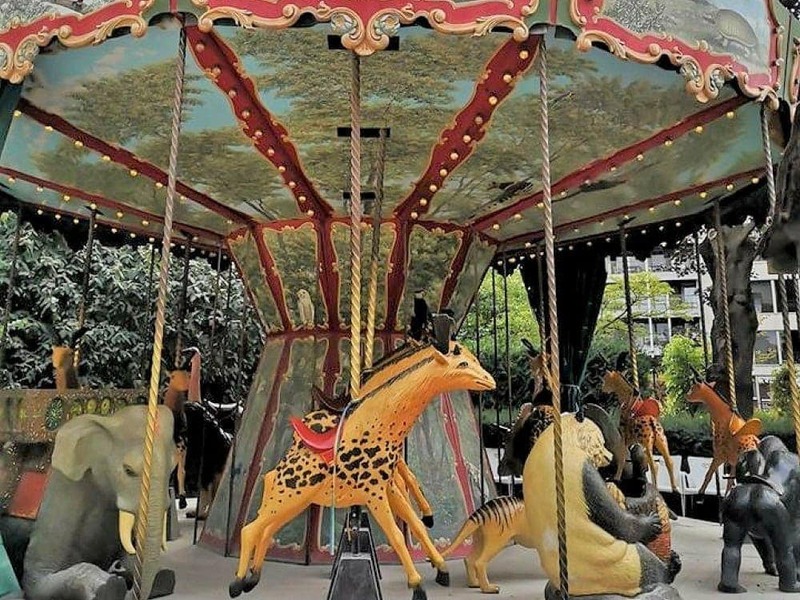 These grand gardens, complete with statue-lined promenades, fountains, playgrounds and vintage merry-go-round, are a Parisian institution and the perfect place for children to let off steam. For a real Parisian treat, hire a model boat to sail on the pond. One of the most scenic locations in Paris and one that is easy to enjoy with kids is the terrace of the departments store Printemps. Located in Paris city centre, Printemps is a vast building with gorgeous shopping opportunities and on the top floor a beautiful terrace that you can visit for free. Kids in Paris are likely to love this tall viewpoint. From the terrace, you can see the Eiffel tower really well and small kids will be mesmerized by the traffic coming and going 9 floors below them! Even better, Printemps has a lovely kids’ department with a beautiful toy area. It is a couple of floors below the terrace and when we visited, the lift doors opened to reveal a massive shelf of beanie boos: heavenly for little ones! This is a lovely stop for families and one that will please adults and kids alike. The Catacombs of Paris are an underground network of tunnels holding the remains of more than six million people. These are the bones of people killed by the Plague, the French Revolution or the guillotine. Pretty creepy, huh? It’s a slightly morbid experience and most kids will never have never seen anything like it before so it’s bound to capture their attention. As you walk through you’ll see rows and rows of bones and skulls, even one place where they’ve been arranged into a heart shape! You can touch these bones too so no need to pay attention to your child’s wandering hands as you would in a museum. Exploring the Catacombs will take less than an hour so it’s a great place to entertain children with a short attention span. You’ll want to arrive early though to avoid the queues. What’s more, it’s a great place for a quick history lesson! Check out this post for more museums in Paris. 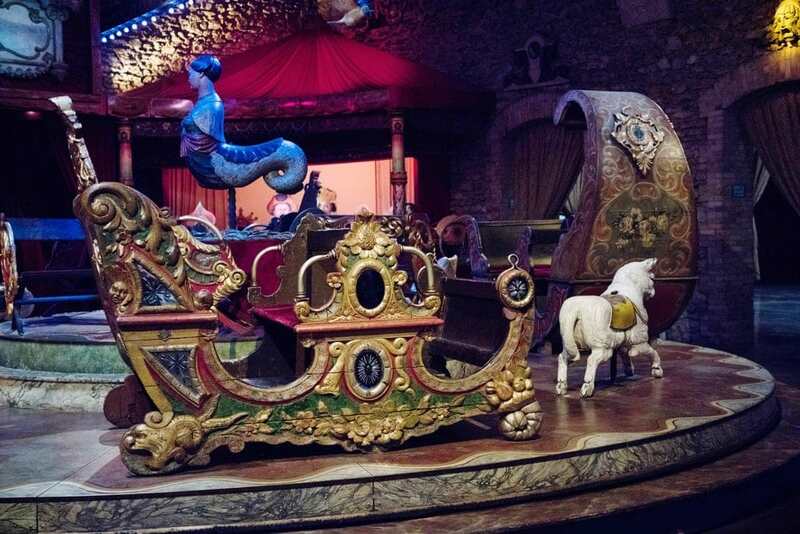 Every kid, young and old, would enjoy a visit to the Musee des Arts Forains, or Carnival Arts Museum. A private museum, make sure to have reservations before showing up. The guide will take you through, and she will not only tell you the history of the pieces, you can try them out. We loved the old carousels and games that we’d never heard of. It’s a multi-sensory experience, and kids will enjoy the showmanship of it as well as listening to the old-timey music. The darkened space, with all of the colours and lights and sounds, makes this one of the memorable activities you will do in Paris. One of the highlights of We Go With Kids trip to Paris was our visit to the Musee de l’Orangerie, which is located next to the Place de la Concorde and inside the Tuileries Gardens. 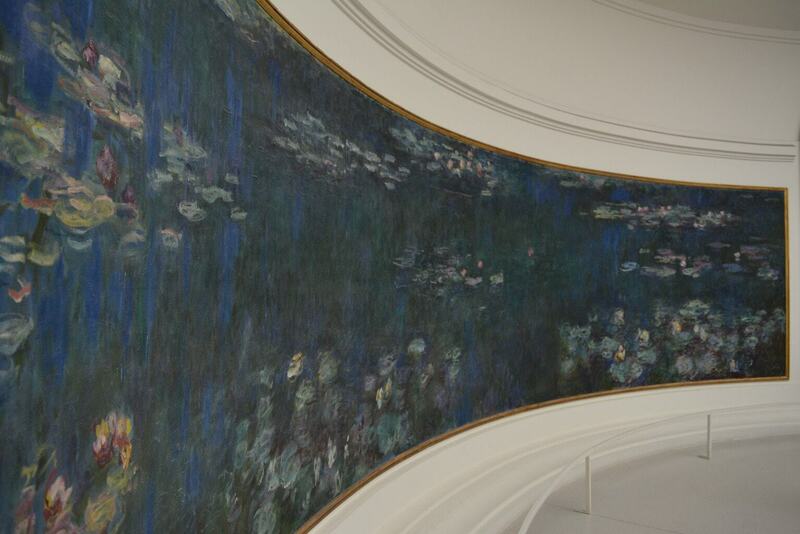 Their favorite exhibit was Claude Monet’s Water Lillies paintings, housed in two oval rooms. Monet helped design these rooms, but the installation was completed after his death. The stark white walls make the Impressionist colors pop. The curved murals surround the viewer, making you feel like you are part of the colorful pond. My kids have visited over a dozen world-renowned art museums, but these rooms housing Monet’s Water Lillies murals are their absolutely favorite exhibit. As an added bonus, there’s no admission fee for kids to visit the Musee de l’Orangerie. We definitely recommend a stop at this museum to any family visiting Paris with kids. The Cite des Sciences is enormous but great for kids in Paris – it’s the biggest science museum in Europe. Inside you’ll find permanent exhibits on science, maths and technology. Specific things to explore include looking at how the universe was formed, seeing the evolution of our technology and learning about human anatomy. Outside there’s a huge, glittering mirrored Geode which is home to an IMAX and VR cinema. 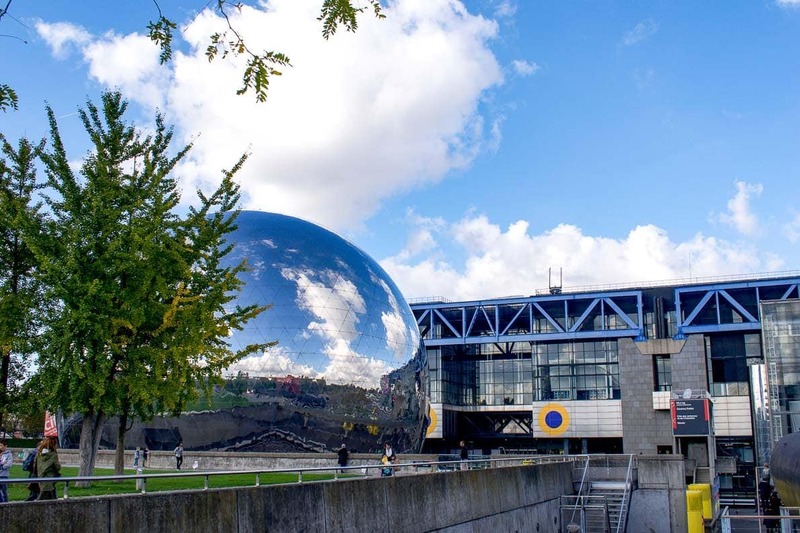 The Cite des Enfants, or Children’s City, is a separate area where kids can experiment and play with science equipment to learn about their bodies and the physical world. These 90 minute sessions are very popular and are separated by age (2 – 7 and 5 – 12). Pre booking is recommended. The Parc de la Villette, at the rear of the museum, is an interesting place to wander around. It’s got large, bright red industrial architecture alongside its canal. You can get to the Cite des Sciences from Gare du Nord. It’s a little way out of central Paris but easy enough to find. You pay per session, so it’s worth looking up what you and your kids want to do before you arrive at the museum. For amazing views over Paris, and the best view of the Eiffel Tower, head to one of Paris’ tallest buildings; Tour Montparnasse. But don’t book a ticket for the observation deck, book a table at the swish Ciel de Paris restaurant. With kids, a continental breakfast is the more relaxed choice, and at €15 as it is cheaper than going to the viewing deck (and your breakfast for the day is sorted!). Dais like These visited with her two sons when they were aged five and two and it worked really well. With so many fabulous sights to visit in Paris, it’s easy to get overwhelmed and your exciting Parisian adventure turns into a race to tick off a list of tourist attractions. Some of our favourite moments have been playing tip in the Luxembourg Gardens and singing songs on a Seine boat trip. 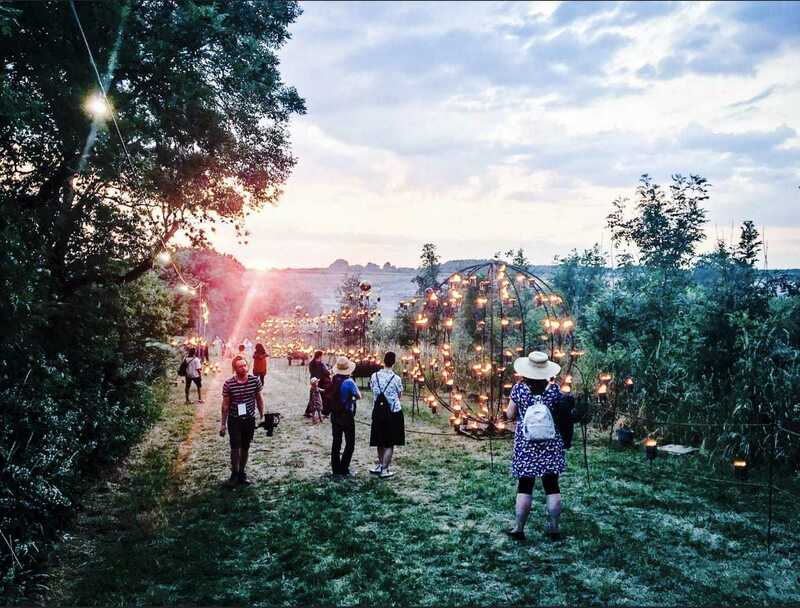 Activities that are not so different to home, but remain vivid in our memories due to their setting. However our absolute favourite thing to do in Paris with kids is to eat freshly made Nutella crepes as often as possible. On our most recent trip we quickly felt ourselves experts and loved to compare and contrast different locations and fillings. Crepes are not expensive, the kids love them and they are best enjoyed after watching them being made. For the record we particularly loved the Nutella and banana crepe from the stand by the Eiffel Tower carousel. Why not PIN this post about Things to do in Paris with Kids! 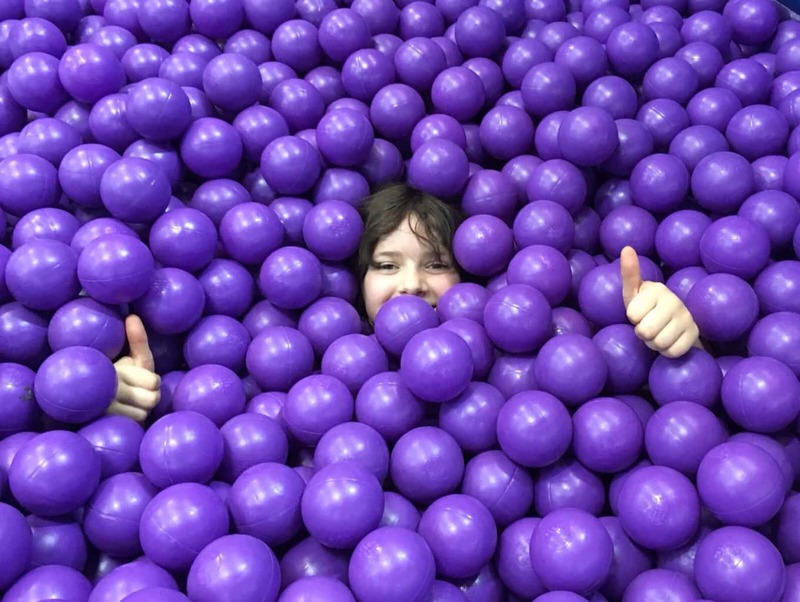 Is Inflata Nation in Trafford Park, Manchester worth the money? I’ve been to Paris so many times, but I’ve only scratched the surface of what there is to do there. Thanks for including my Bateaux Mouches suggestion! Wow, what a lot of really interesting things to do and see in Paris! With or without children. Hi Karen. Can you recommend a family friendly hotel in Paris? Merci! Hi really sorry we haven’t stayed at one to recommend unfortunately.